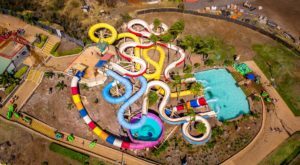 With endless summer weather comes endless opportunities for summer activities: swimming, surfing, hiking, and perhaps my favorite — camping trips. 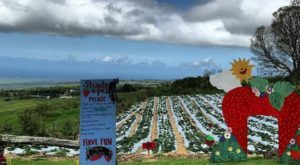 Camping in Hawaii is a little bit different than your traditional forest camping on the U.S. mainland, and while you will find countless beachfront campgrounds across our beautiful islands, you’ll want to venture inland to experience this fairytale campground on the island of Kauai at least once. 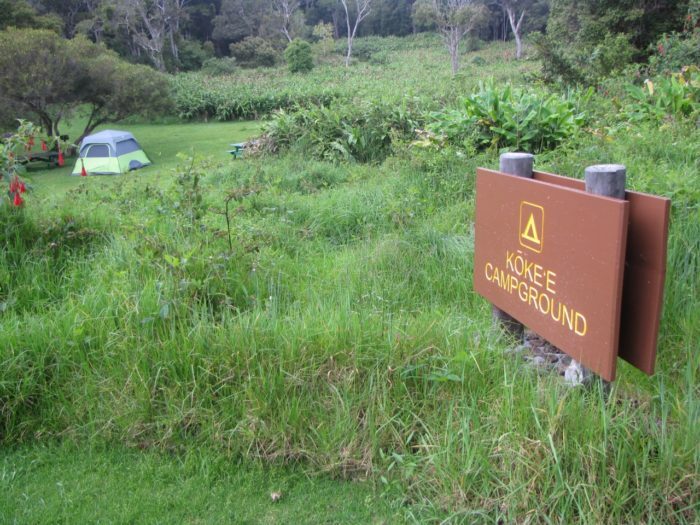 Nestled along the rim of Waimea Canyon between 3,200 and 4,200 feet above sea level, Koke’e State Park is home to some of the prettiest scenery in the Aloha State and is the perfect spot for a weekend camping trip any time of year. The campsites found here might be minimally developed, but that won't matter when you're exploring all that this breathtaking park has to offer. 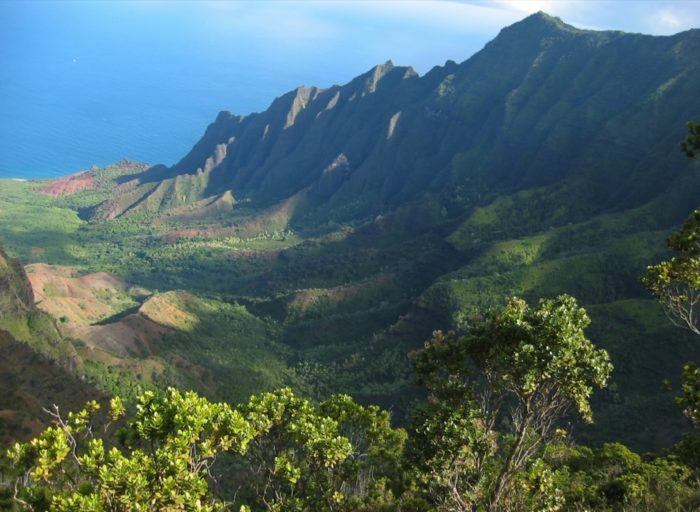 Sprawling more than 4,300 acres, you will find commanding views of both the "Grand Canyon of the Pacific" and Kalalau Valley here. 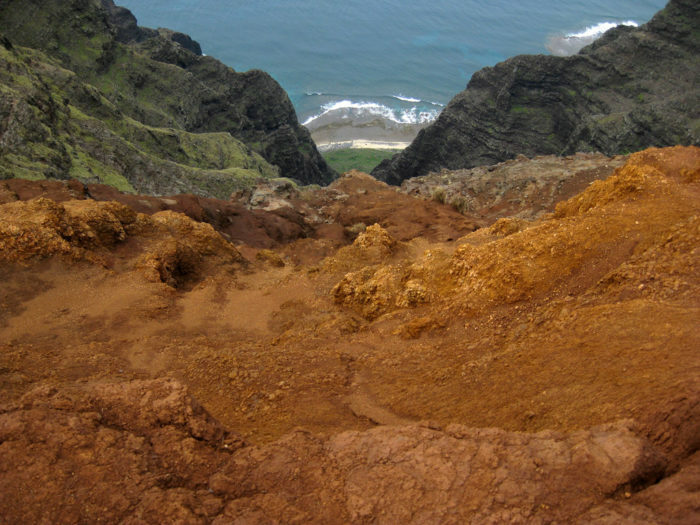 If you like hiking, Koke'e State Park is perhaps Hawaii’s best camping destination. 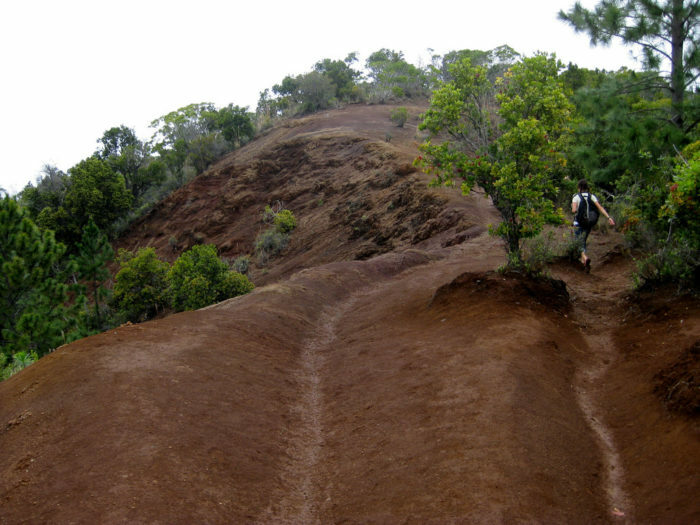 The park contains approximately 45 miles of hiking trails along canyon rims and through native Hawaiian forests. 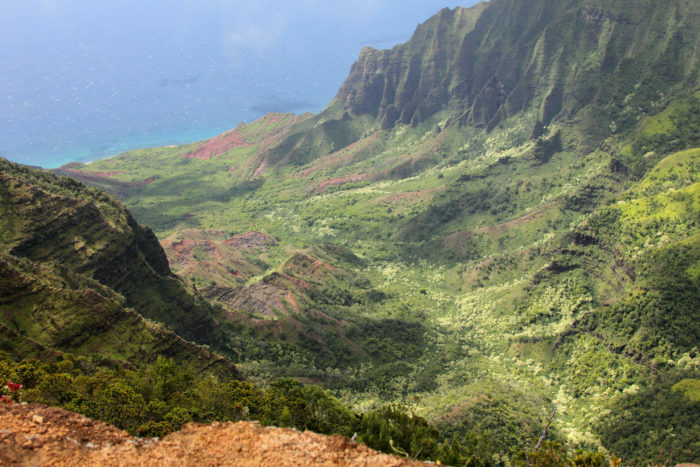 There are seven main hiking trails found in the park, and each takes you on a one-of-a-kind journey — from swamps and ridgelines to jaw-dropping overlooks like this one. 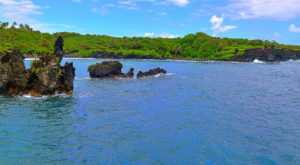 With views this stunning, you’ll wonder if you mistakenly stepped foot into your favorite childhood fairy tale at the mesmerizing Koke’e State Park. 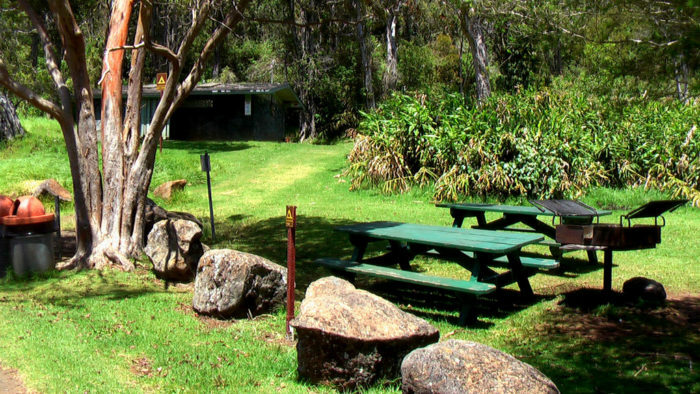 Campsites cost $12 for residents per night for up to six persons and $18 for non-residents. 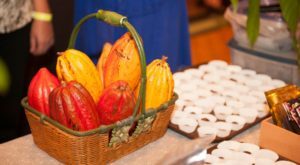 Each additional person will cost $2 per night for residents, and $3 per night for non-residents. 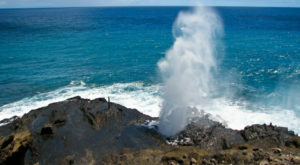 Though you do need a reservation, the individual, non-numbered campsites themselves are first-come, first serve, so you might want to arrive right at 1 p.m. to snag an awesome spot. You can check into your campsite at 1 p.m. on the first day of your reservation, and you must leave by 12 p.m. on the day of your departure. 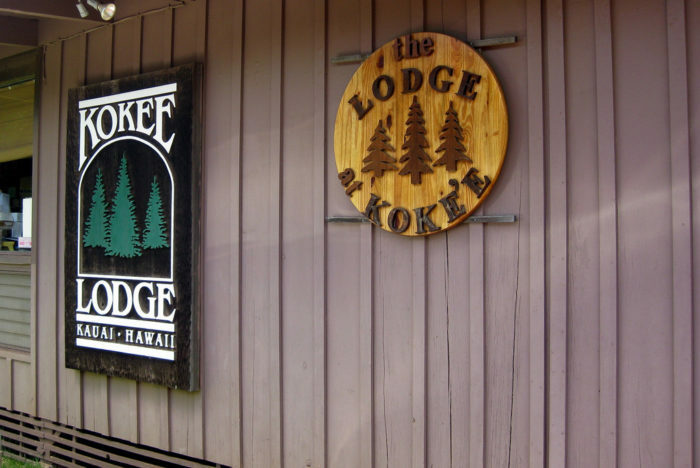 If you prefer not to pitch a tent, you can opt to stay at the Koke’e Lodge, which offers cozy cabins in the heart of the park. 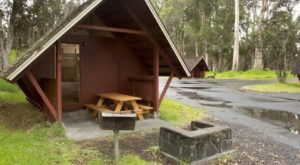 Whether you choose to go tent camping or stay in a cozy cabin, your trip to Koke’e State Park is sure to be unforgettable. 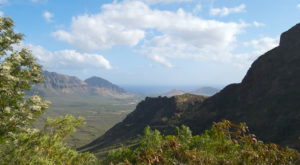 There is truly no better place to get away from it all and spend time surrounded by a natural oasis. 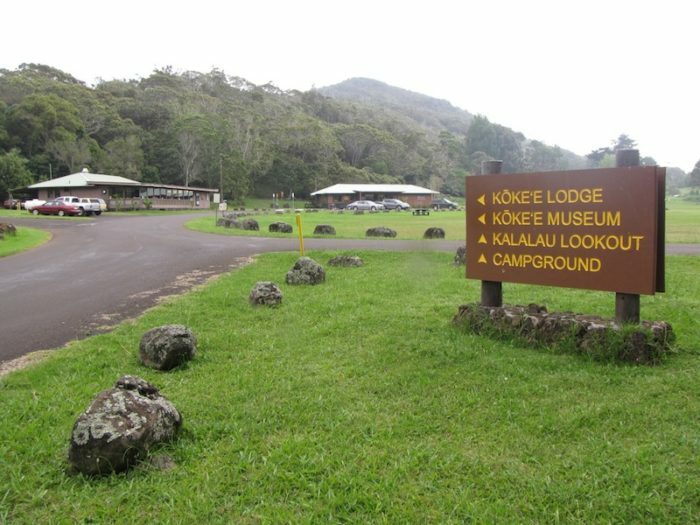 The Koke’e State Park Campground is located at 4187 Muhihi Rd., Waimea, HI 96796. You can make a reservation here. 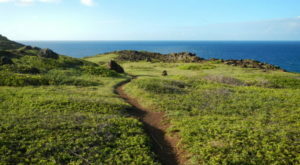 Don’t forget to hike the incredible nearby Alakai Swamp Trail while spending time at this Hawaii campground. 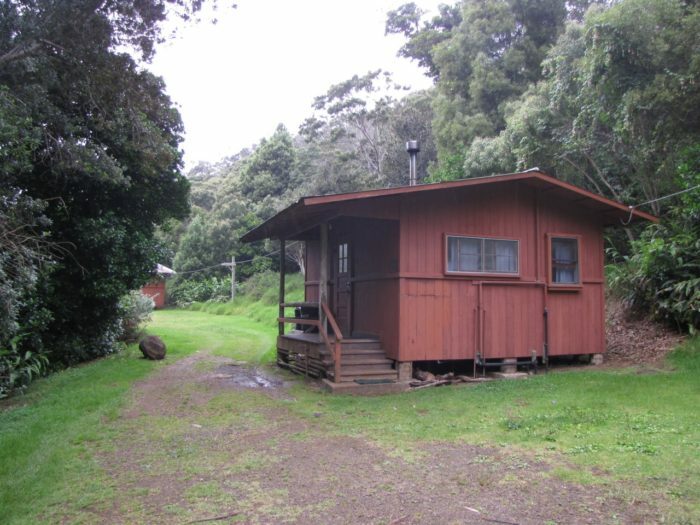 If you’re not into tent camping, why not hang out at one of Hawaii’s incredible cabins for a weekend instead?